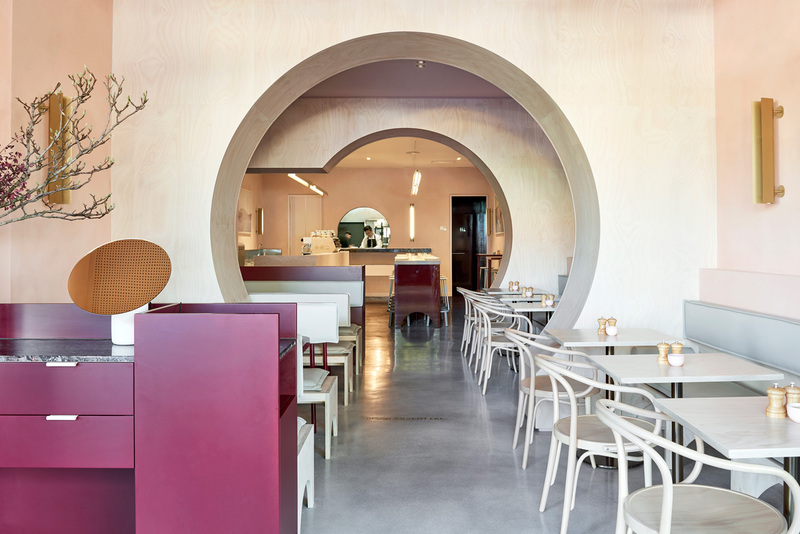 Workshop Brothers Glen Waverley by Studio Esteta. 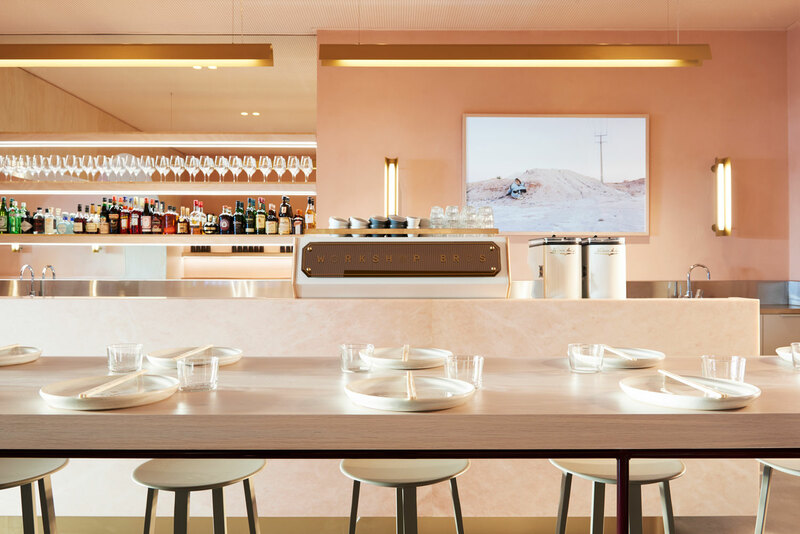 Brothers Nolan and Brian Taing and partner Joe La already operate three successful Workshop Bros cafes in Glen Huntly and two in Melbourne’s CBD. 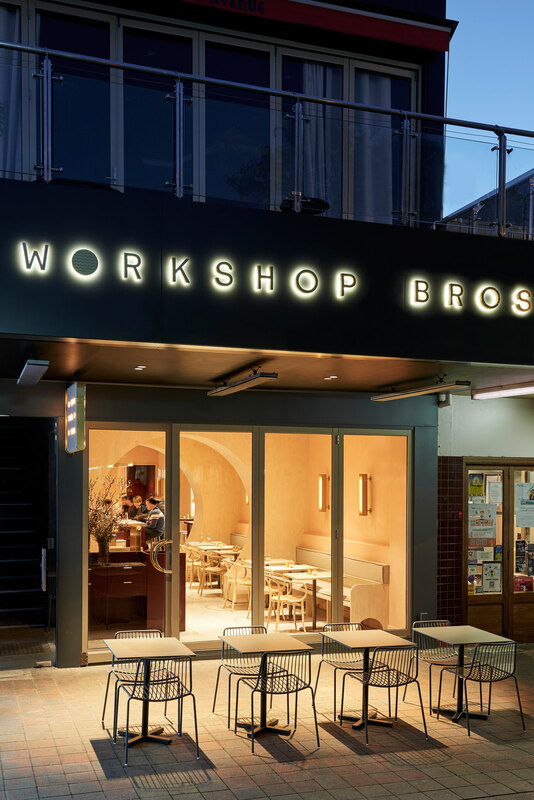 Their newest venture, Workshop Brothers Glen Waverley, takes the brand to a new level. 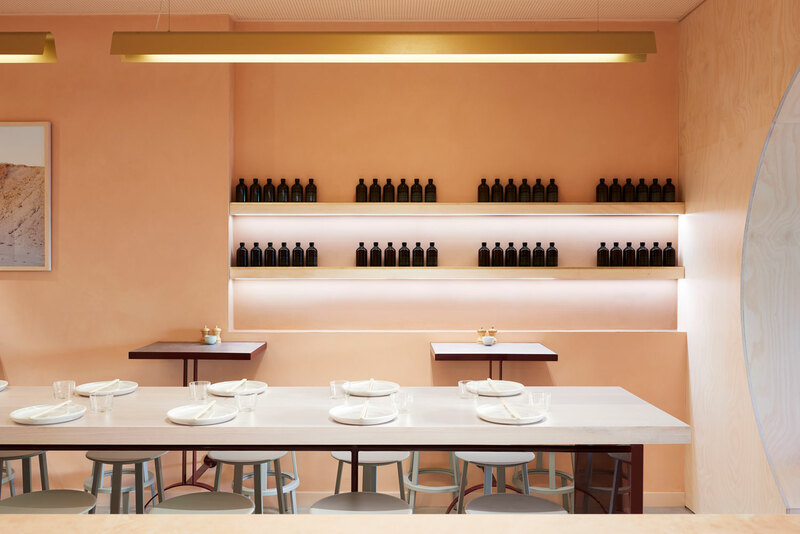 The brothers brought together a design team including Studio Esteta and Pop & Pac to fulfil the task of showcasing a new generation of Asian cuisine. 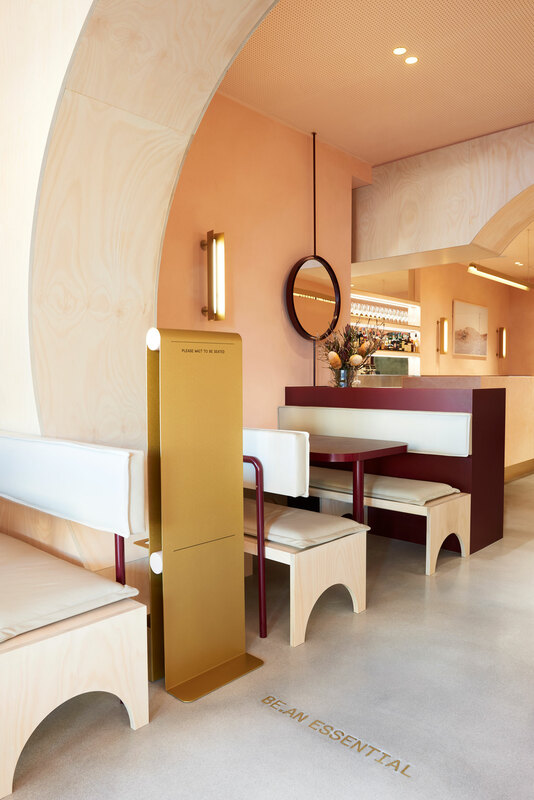 At Workshop Bros Glen Waverley, these three young restaurateurs look nostalgically back at their food heritage, and add ironic touches to a very Melbourne menu. 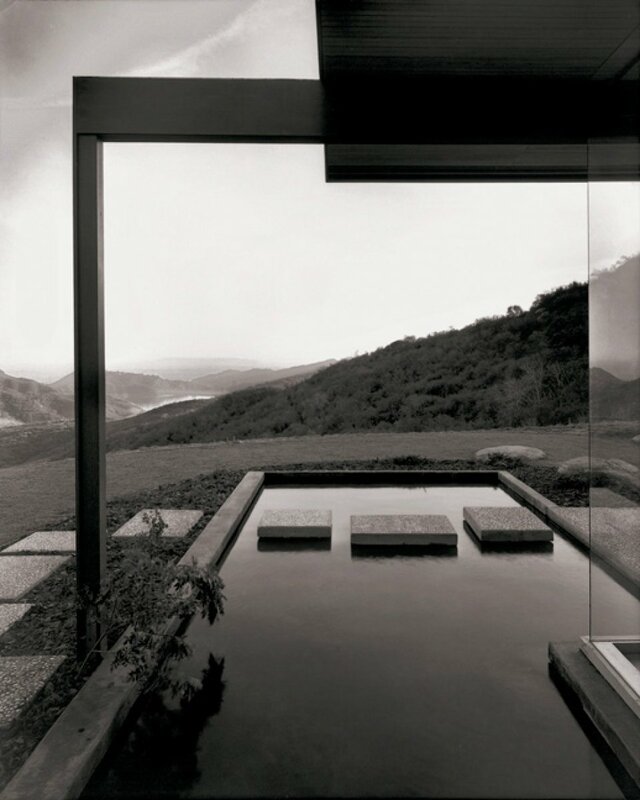 Interiors were designed by Studio Esteta. 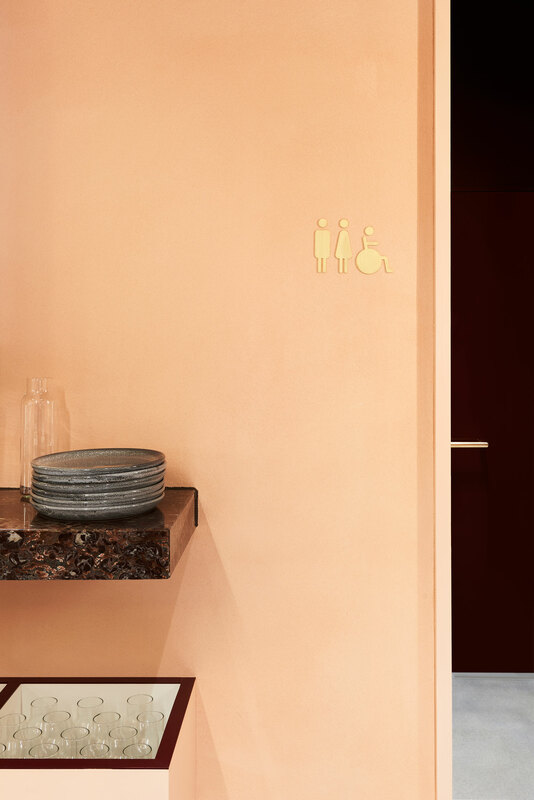 The palette is light and bright but maintains a level of sophistication to assist in the transition from day to night time dining. 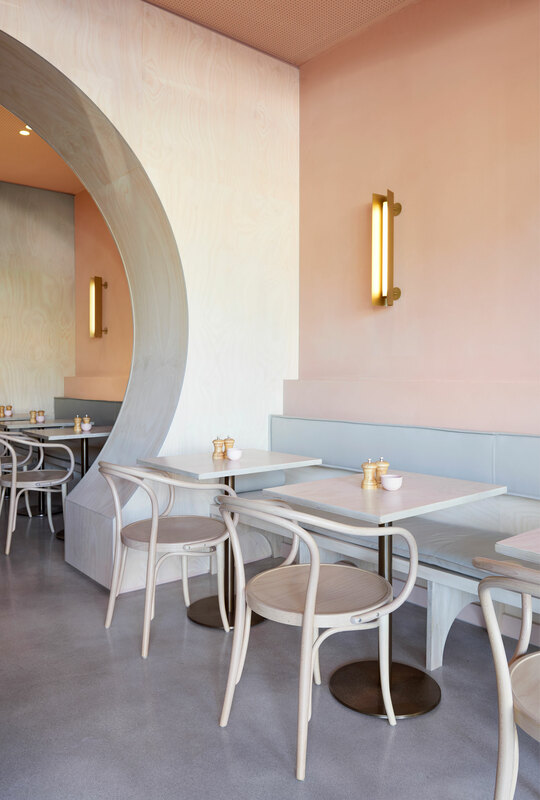 Pink hues are offset by plum and brass accents and the circular and cylindrical language is repeated through the furniture and joinery details to reinforce a playful and vibrant interpretation of the retro Asian restaurant. 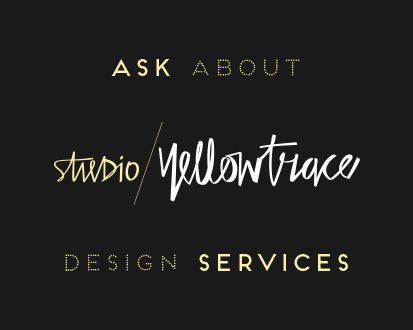 “Rich in meaning and symbolism in Asian culture, the circle represents oneness, perfection and unity. 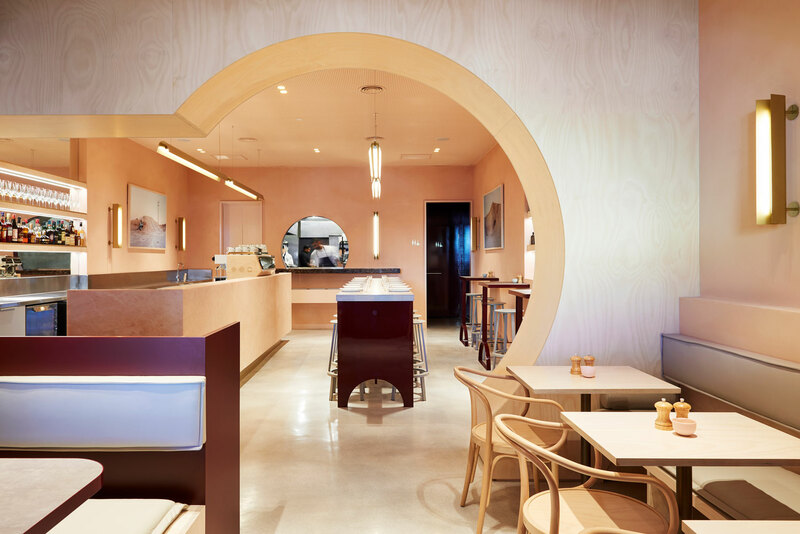 This rich symbolism becomes a reoccurring theme with the introduction of a series of limed ply circular openings that divide the long narrow space into dining, bar and kitchen zones. 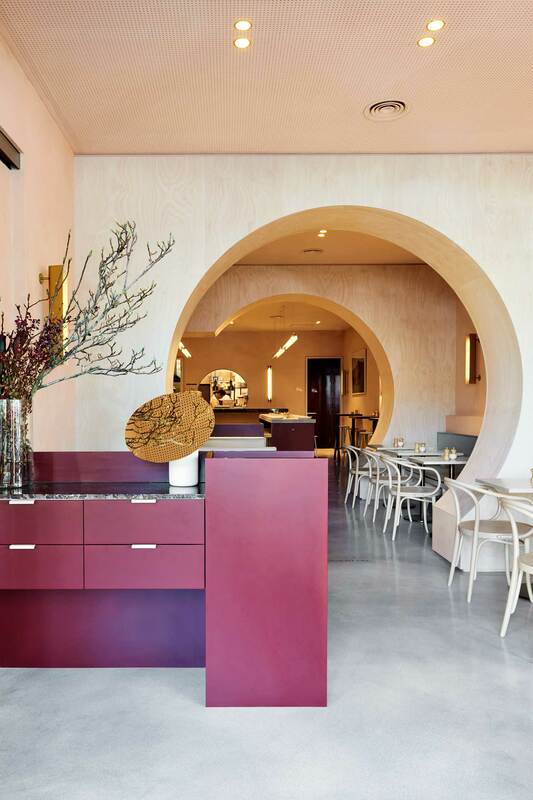 The circular insertions allow for the space and design to unravel gradually, imbuing a sense of intrigue and discovery amongst diners,” she said. 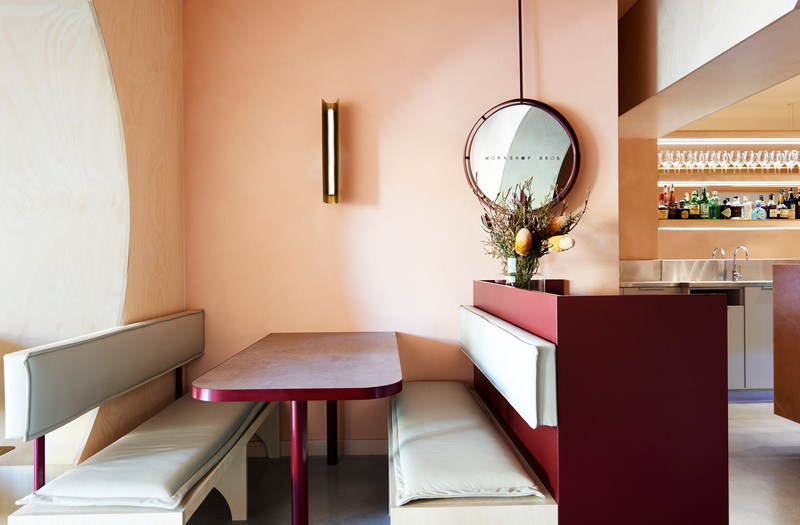 Related Post: Workshop Brothers Specialty Coffee Shop in Melbourne CBD by The Stella Collective. 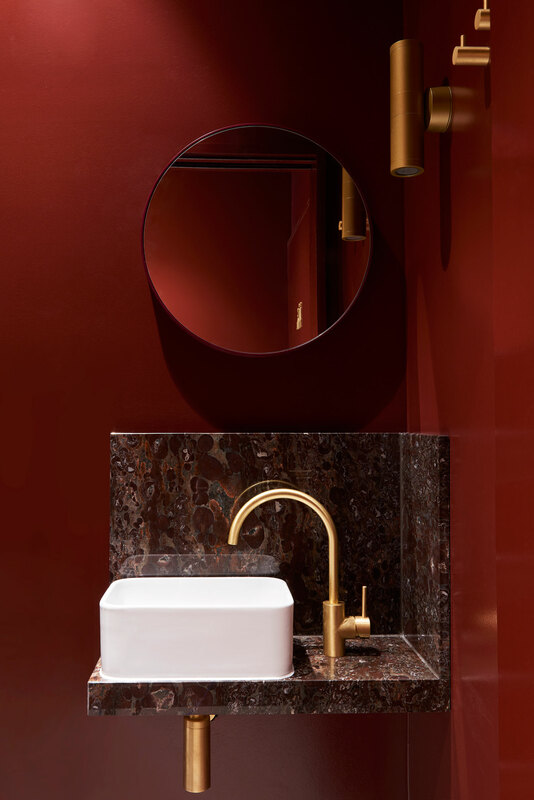 Eden Locke Edinburgh Hotel by Grzywinski+Pons. 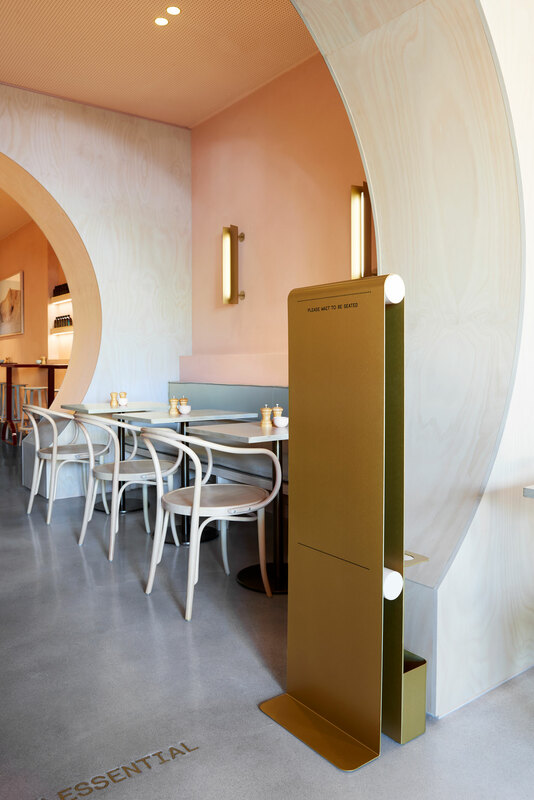 Viet Next Door: Vietnamese Tapas Bar in Adelaide by Genesin Studio.